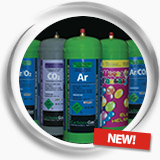 Carbone has incorporated into its product range industrial gas that are usually used in metal welding processes, cutting materials and other applications. We offer the alternative to get gas when in Costa Rica. 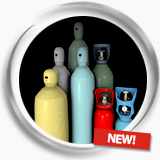 We offer a variety of gas and sizes of bottles for stationary work in workshops with large tanks and field work that require portable cylinders.